PKR’s Rafizi Ramli moved today to challenge the constitutionality of the now-repealed banking law he was charged with violating, in his exposés on the National Feedlot Centre (NFC) controversy in 2012. His lawyer, Padang Serai MP N. Surendran, said the Banking and Financial Institutions 1989 (Bafia) is unconstitutional as it violates provisions in Article 5 and 8 of the Federal Constitution. “Section 87(2) (of Bafia) takes away the right against self-incrimination, which means a person arrested under Bafia has to give full statement confessing everything, which is against every principle of law,” he told reporters today after the challenge was filed at the court here. Article 5 of the Federal Constitution states that no person shall be deprived of life and personal liberty except in accordance with the law, while Article 8 states that everyone is equal before the law and is entitled to its protection. Surendran also pointed out today that Bafia was repealed in 2013 and should not be used any longer to prosecute alleged offenders. “You cannot proceed against the individual under a law that does not exist. That is an unfair proceeding and breaches Article 5 of Federal Constitution,” the lawyer said. In 2013, Bafia was repealed and replaced with the Financial Services Act 2013. “Secondly, there is no element of intention under the charge which is disclosing public account information… it breaches Article 5 and 8,” he continued. Another applicant seeking to challenge Bafia’s constitutionality today was Johari Mohamad, the bank clerk accused of conspiring with Rafizi in leaking confidential banking information involving the National Feedlot Corporation (NFCorp) in 2012. According to the national news agency Bernama, the Sessions Court here set April 27 to hear the challenge. 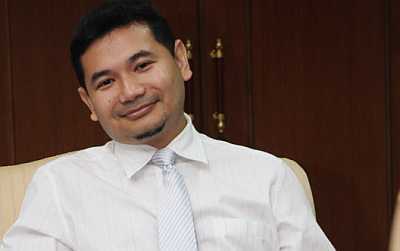 Rafizi, who is Pandan MP, was charged in August 2012 with revealing four Public Bank customer-profile documents to unauthorised individuals. The documents comprised balance summaries relating to NFC, National Meat and Livestock Sdn Bhd, Agroscience Industries Sdn Bhd and NFC chairman Datuk Seri Mohamad Salleh Ismail. He allegedly committed the offence at the PKR’s headquarters at Merchant Square in Petaling Jaya on March 7, 2012. The charge under Section 97(1) of the Bafia, punishable under Section 103(1)(a) of the same Act, carries a maximum three years’ jail or RM3 million fine, or both, upon conviction.